Bordeaux is more than expensive, age worthy red wines. The original OG of sweet Bordeaux,1 wines don’t get the love today that they once did. Many relegate them to after dinner status either as dessert themselves or as a pairing for the dessert course. 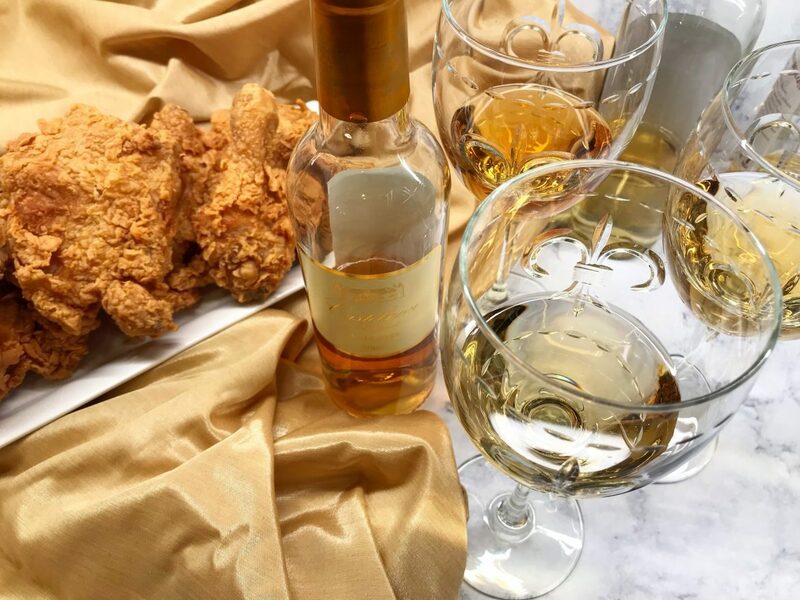 And don’t get me wrong, a smidge of blue cheese (which I typically only eat with buffalo wings – #KeepinItReal) is otherworldly with Sauternes as dessert.2 But these wines are so much more than dessert. They are more versatile than people realize and CAN be paired with savory foods. So don’t be afraid to pop open a bottle with many of the foods you have on your dinner table. While Asian and Indian spices are classic for these wines, it’s time to delve even deeper. 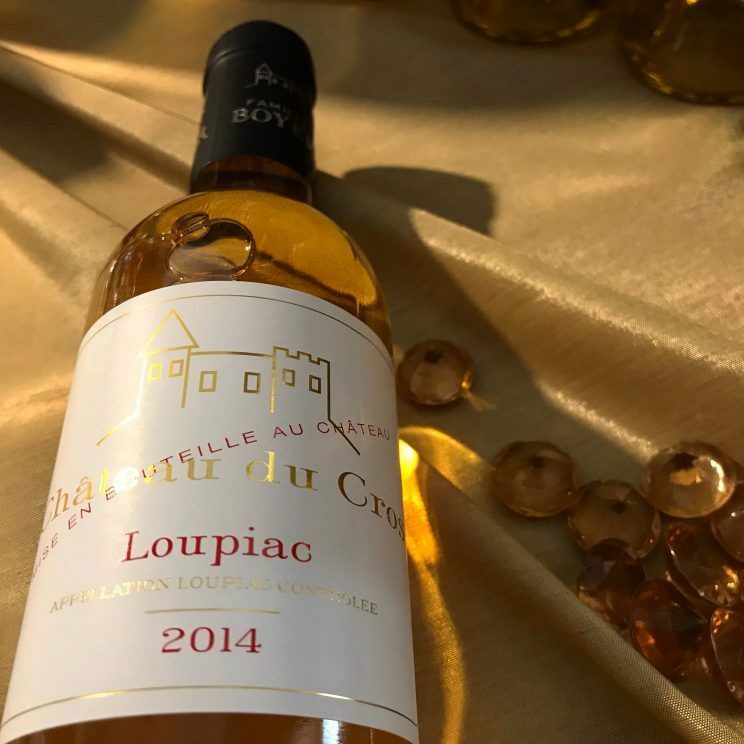 An anomaly at worst and pure genius at best, the wines made from the fungus-laden3 grapes 4of the region are known for their sweet, honeyed flavors. Many exhibit high levels of acidity which gives them the ability to age for decades. 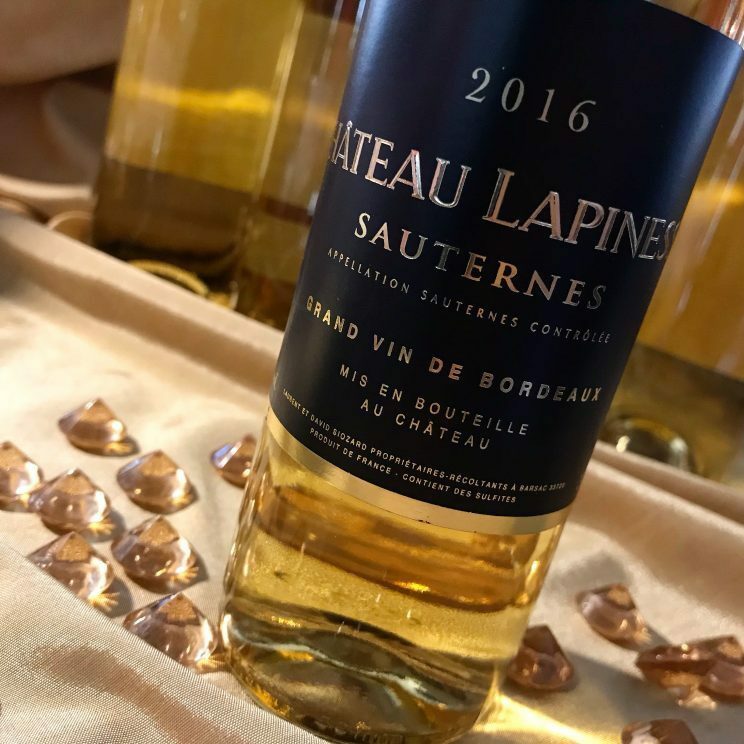 While Sauternes and Barsac are two of the most well known appellations for sweet Bordeaux wines, appellations such as Cadillac, Loupiac, Sainte-Croix-du-Mont, and Cérons offer sweet wines for good values though the wines generally don’t age as long. Fine with me as these wines tend to be lighter and fresher which makes them even better candidates for savory foods. 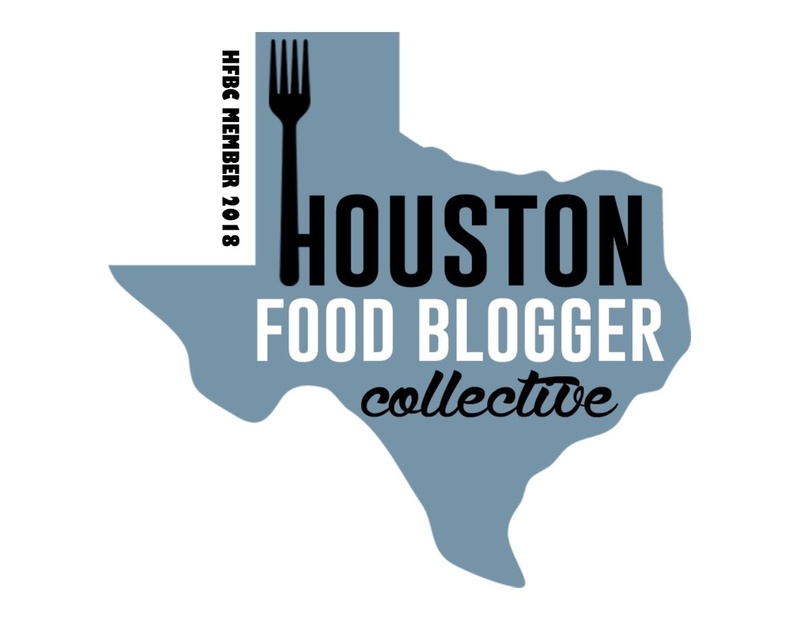 I recently participated in a chat with Snooth about pairing sweet Bordeaux with savory foods. 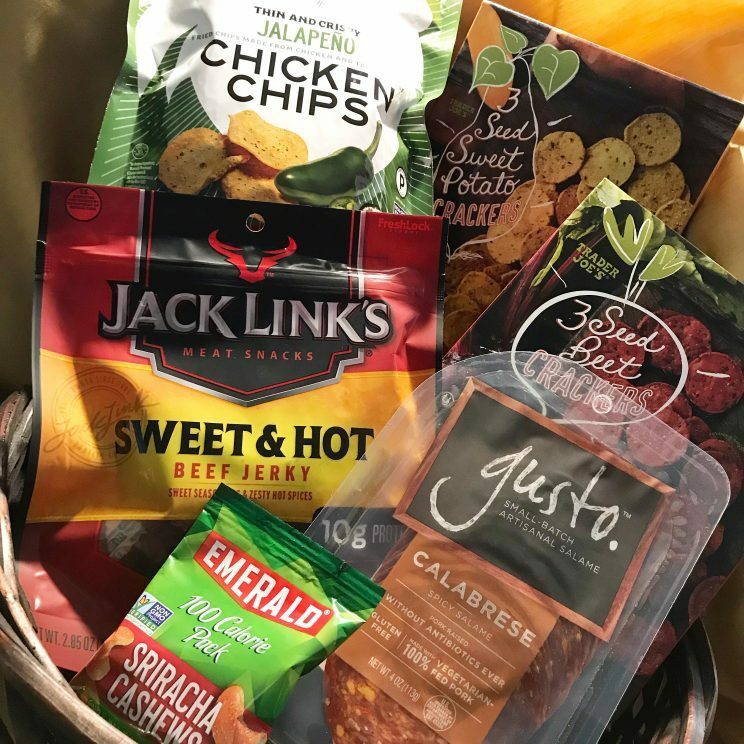 I was even sent a box of savory snacks, some spicy, to pair with the wines and talk about a treat for the senses! We tasted through eight sweet Bordeaux wines paired with the snacks. Of course, I took it a step further and assembled my #WineSquad to pair with some regular, everyday food. 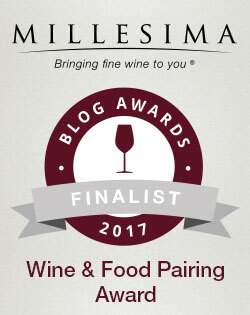 Know how to get folks to drink the Kool-Aid and pair these wines with savory foods? 2 words. Fried Chicken! Seriously. Here’s what we tasted. And note that you don’t need to drink these in the smaller dessert glasses. A regular white wine glass will do. What’s also great about these wines is that they will keep in the fridge about a month after opening so there’s a smaller chance of them going bad. The Manos Cadillac is mostly Sémillon with a tiny bit of Sauvignon Blanc and Muscadelle. 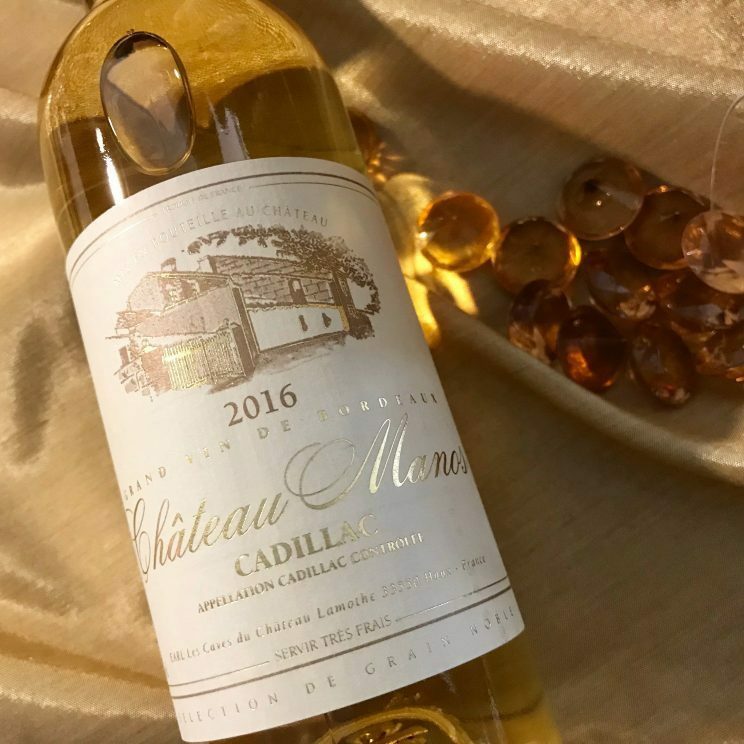 Cadillac is one of those appellations with sweet wines that tend to be fresh and zesty and this one had lots of tropical and stone fruits, along with some orange marmalade. Characterized by a bit of lift and levity, this one is perfect with crispy skin baked chicken or fried chicken. It was also pretty tasty with the jalapeño chicken chips I was sent. 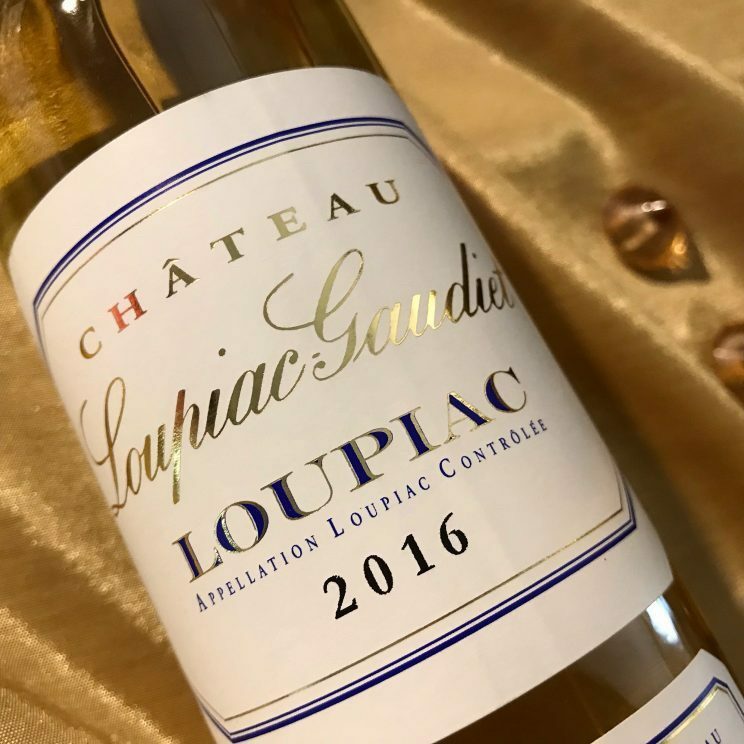 Showing a bit more freshness than the first wine, the Loupiac-Gaudiet strikes a beautiful balance between sweet fruit and acidity. The honeyed fruit was quite present with orange marmalade, apricot, and savory mushrooms. This was quite tasty with sriracha cashews! Another chicken contender for sure but its mushroom character would even allow this it to stand up to beef. The Chateau du Cros was quite different from the wines that preceded it. It seemed more savory than sweet. 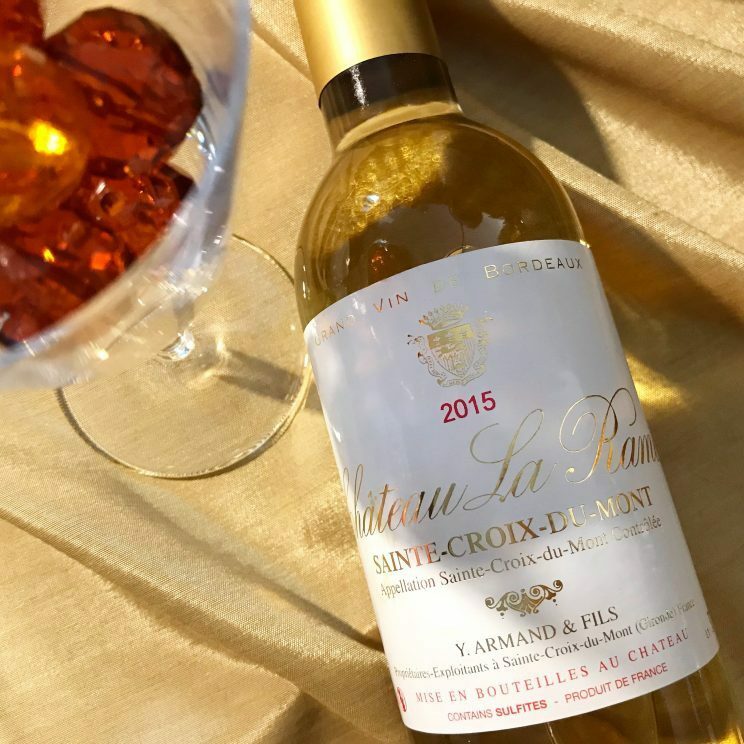 Crafted of 90% Semillon, 5% Sauvignon, and 5% Muscadelle it provided various bites of citrus (lemon, tangerine, and candied grapefruit) along with spice and mushroom. Fresh palate with great acid all topped off with a touch of floral from the Muscadelle. 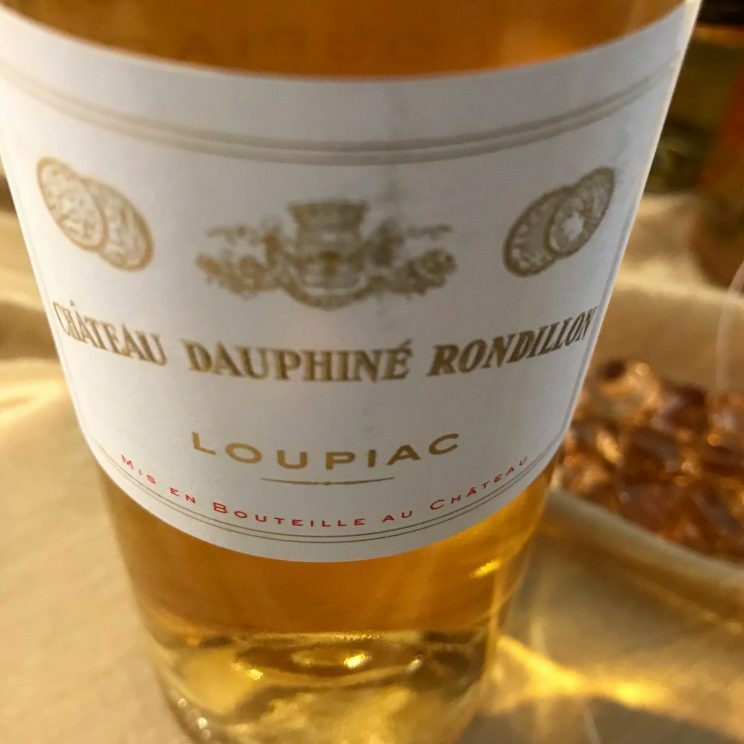 The Chateau Dauphine Rondillon sits at 70% Semillon & 30% Sauvignon Blanc. The Sauv Blanc makes this one so elegant and given the epic 2011 vintage for sweet wines, this one had it all. Quite prominent Botrytis and fungal characteristics. With mushroom, pine nuts, butterscotch, and dried apricot this one had quite a savory streak. Curry chicken would sing with this along with truffle fries or truffle mac n cheese. And then it was time to move into the Sauternes. 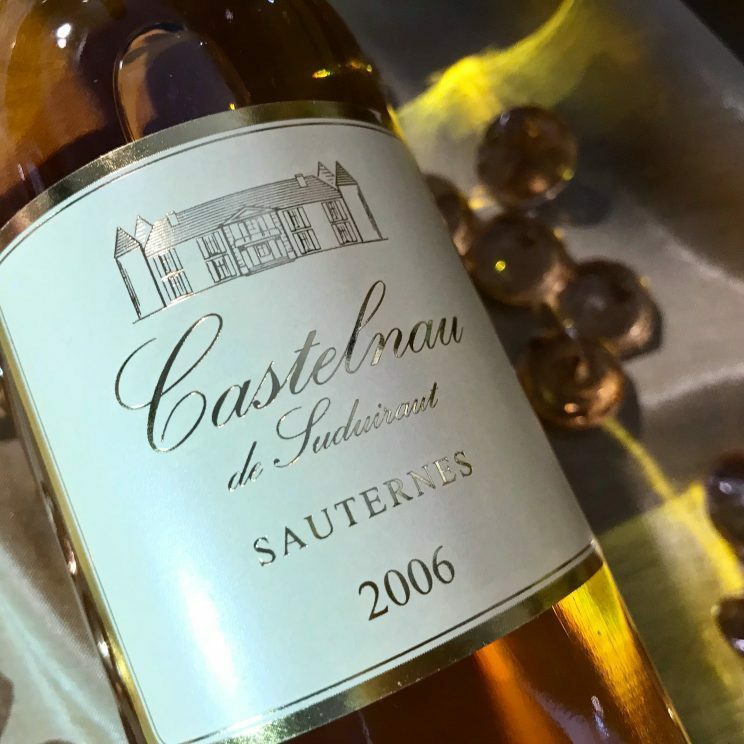 Crafted of 100% Semillon this had all the hallmark characteristics of Sauternes – rich, full bodied and opulent. With fruit characteristics of peach and pear woven with floral notes and savory mushroom, the wine was surprisingly accessible now. It was balanced out and was delicious with the spicy salami but rich foie gras and roasted bone marrow would seriously make it shine. 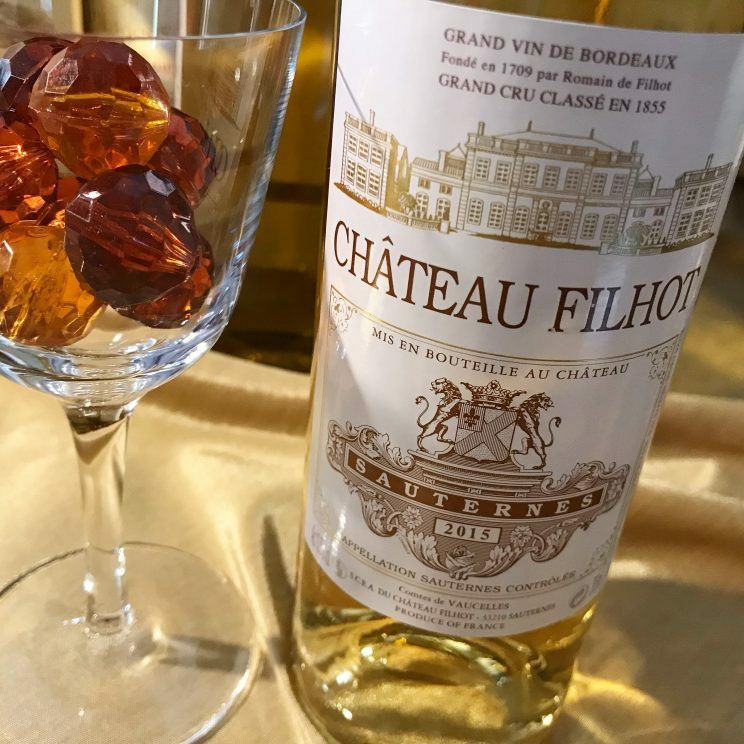 With a Second Cru Classification, the Filhot Sauternes is crafted of 60% Semillon, 36% Sauvignon, and 4% Muscadelle from vines that have an average age of 38 years. Floral and rich, with creamy orange dreamsicle, it definitely dialed up the structure and concentration. A testament to the opulent 2015 vintage. Apricot jam, concentrated honey, and baking spice give way to great acidity. While this one can be drunk now, it has the ability to age for decades. I loved this one with the chicken jalapeño chips but imagine a fried pork chop with Cajun seasoning would fit the bill too. This second wine5 of Chateau Suduiraut, was a great way to finish things off. You seriously want to while away the hours appreciating this one. Nuanced peach, orange zest, vanilla spice, with a touch of oak, it was as rich as it was earthy. With a creaminess balanced by great acidity, it was still surprisingly fresh. Our host, Master of Wine Mary Gorman McAdams paired this one with grilled lobster with paprika butter. Y’all know I can’t wait to create this pairing. Do you have any savory parings that you’ve tried with sweet Bordeaux? I’d love to hear. 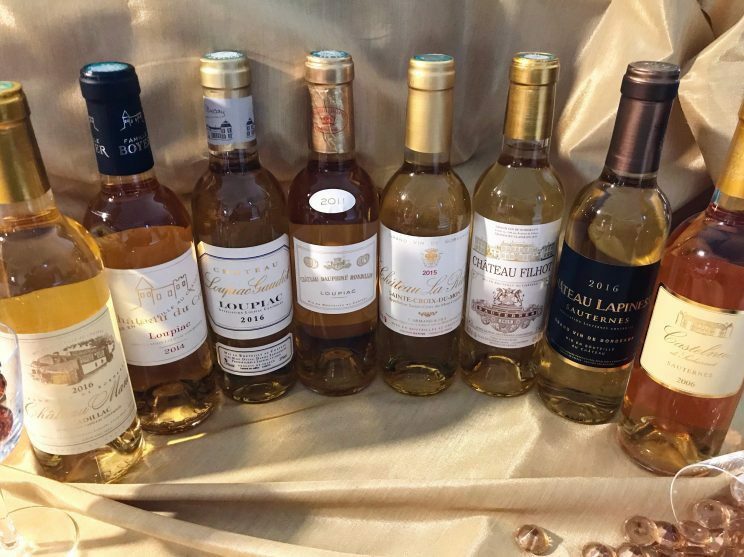 These sweet wines are as much a part of Bordeaux ‘s heritage and even predate red wine production. I recently convinced a member of my #WineSquad about the merits of this pairing after she insisted she didn’t like blue cheese. Well now, she understands what I was talking about. The fungus, Botrytis Cinerea or “Noble Rot” is a beneficial mold that affects the grapes of the region resulting in shriveled fruit that offer up intense, rich, complex wines that have high levels of residual sugar. 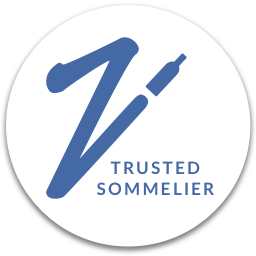 Thin-skinned Sémillon, which is prone to Botrytis, is the foundation of these wines. Blends may also have Sauvignon Blanc which is often added to increase the wine’s acid level or Muscadelle which adds floral characteristics. I know it’s a 2nd wine, but wow!